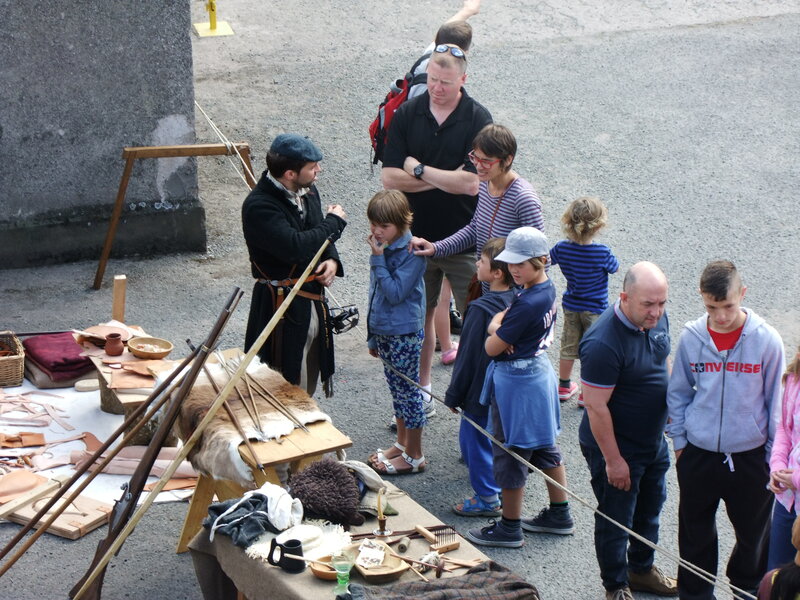 Another Cork heritage open day is looming. The 2017 event will take place on Saturday 19 August. For one day only, over 40 buildings open their doors free of charge for this special event. The team behind the Open Day, Cork City Council and building owners, have grouped the buildings into general themes, Steps and Steeples, Customs and Commerce, Medieval to Modern, Saints and Scholars and Life and Learning – one can walk the five trails to discover a number of buildings within these general themes. These themes remind the participant to remember how the city spreads from the marsh to the undulating hills surrounding it, how layered and storied the city’s past is, how the city has been blessed to have many scholars contributing to its development in a variety of ways and how the way of life in Cork is intertwined with a strong sense of place and ambition. For a small city, it packs a punch in its approaches to national and international interests. The Saints and Scholars route lies to the South side of the city and takes in the birth place of Frank O’Connor and the burial place of Nano Nagle and panoramic views from Elizabeth Fort. The route encompasses places of learning and places of worship finishing up at South Gate Bridge with fabulous views of the magnificent St Fin Barre’s Cathedral. One of Cork’s most distinctive landmarks, St. Fin Barre’s Cathedral is located where Cork’s Patron Saint founded his first Church and School. It is the diocesan cathedral of the Church of Ireland and the Bishop’s residence is directly opposite the cathedral gate. 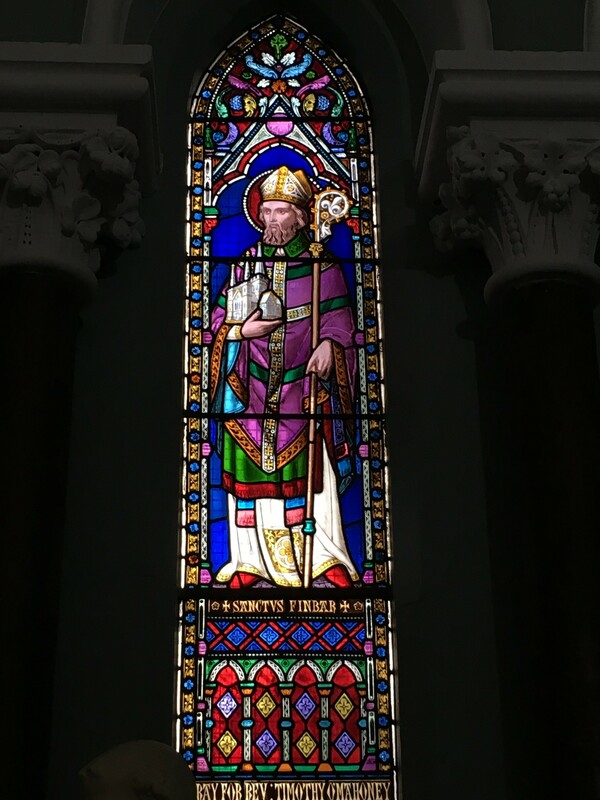 St Fin Barre’s was designed by the notable architect, William Burges, who also designed the stained glass, the sculptures, the mosaics, the furniture and metal work for the interior. The foundation stone was laid in 1865 and the building was consecrated in 1870. The Cathedral is stylistically late thirteenth century pointed Gothic and is cruciform in shape. It has triple spires with portals to the west front and an abundance of external stone carved detail. The Religious Society of Friends (Quakers) Meeting House on Summerhill South was designed by WH Hill and was purpose built in 1938 following a move from the old Meeting House in Grattan Street, which dates back to 1677. It is a simple, unadorned meeting room that is used for Quaker worship, as well as a number of community activities. The burial ground lies to the rear of the building. The plain and nearly identical grave stones are a symbol of the Quaker belief in the intrinsic equality of all. These simple headstones are representative of the form and design of Quaker grave markers and were clearly executed by skilled craftsmen. The wonderful complex of buildings at Nano Nagle Place form a rich architectural assemblage. The triangular wedge of land upon which it sits appears in early maps of Cork. It is not clear when it came into the possession of the Nagle family. The family passed the land to Nano Nagle and when she in turn passed it to her community, the function and shape of the site were set to prevail. The oldest remaining building is the convent that Nano Nagle built for the Ursuline Sisters in 1771. Recent research has shown that many original design details remain, perhaps specified by Nano herself. The Ursuline sisters thrived here and built extensions to that original building in 1775, 1779, and 1790. When the Ursulines moved to Blackrock in 1825 the buildings passed to the Presentation Sisters. Elizabeth Fort was first built in 1601 by Sir George Carew, the then president of Munster during the reign of Queen Elizabeth 1. The fort was built on a rocky outcrop overlooking the city from the south. Following the death of Elizabeth in 1603, the fort was attacked by the citizens of Cork, however, when the city was re-taken, they were compelled to rebuild it at their own expense. It was replaced in 1624 by a stronger, stone fort, much of which survives today. It is reputed that improvements were also made by order of Oliver Cromwell in 1649. Backwater Artists Group, Cork Printmakers and CIT Wandesford Quay Gallery are located on Wandesford Quay. This three-bay, four-storey warehouse was originally built circa 1840. Its first use was as a grain store, probably for the nearby distillery. It was then used as a timber yard and went on to become Coleman’s Printers. Backwater Artists Group is one of the largest artist-led studio groups in Ireland, with 29 studios and over 40 artists working from the complex. They are open to the public for Cork Heritage Day, Cork Culture Night and for guided tours, artists’ talks and exhibitions during their annual Open Studio Event, in November. There will be an exhibition of members work on view in our exhibition space. See www.corkheritageopenday.ie for more information on the city’s great heritage open day and then followed by Heritage Week (information at www.heritage week.ie). My tours are posted at www.kieranmccarthy.ie under the walking tours section or follow my facebook page, Cork Our City, Our Town.